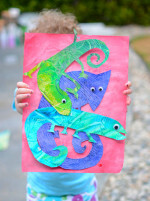 Combining super creative fun with amazing friends is the best combo ever. Holy cow! 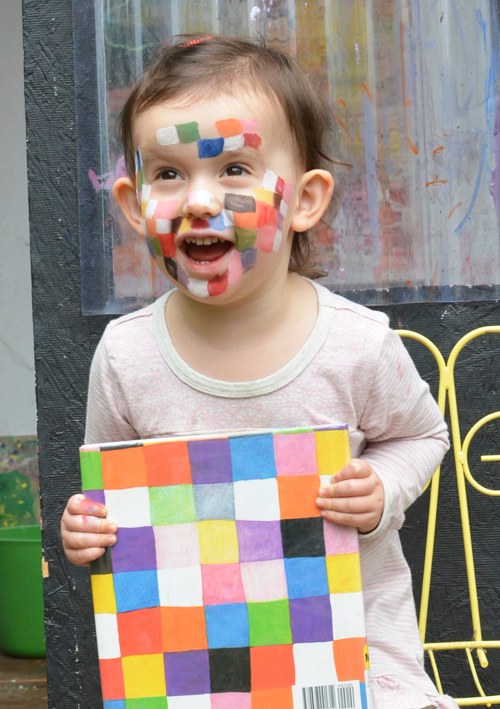 This Elmer face painting party was so much fun! This is the last installment (for now) of the Preschool Book Club Series I’ve had the pleasure of being a part of. 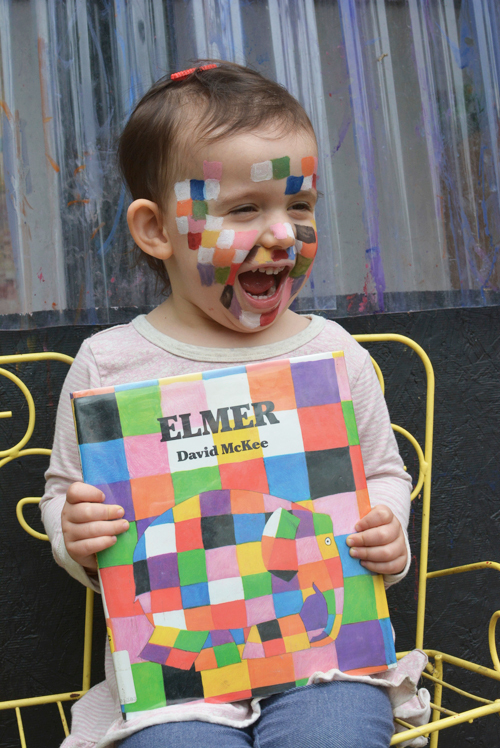 This week we are featuring the beautifully fun children’s picture book by David Mckee, Elmer. It’s the story of an elephant who has a special way of making everyone around him feel really good. 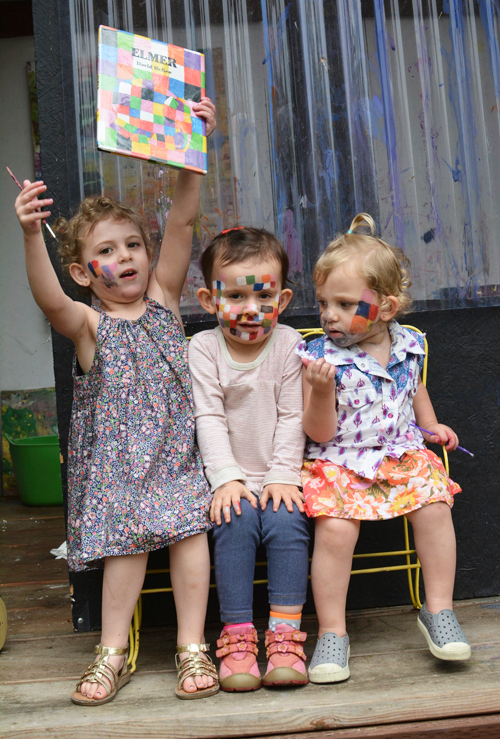 We had a play date this morning with our dear friends so why not make it a super duper Elmer Face Painting Party! *This post contains affiliate links for your convenience. We started our play date by reading Elmer to all the girls. 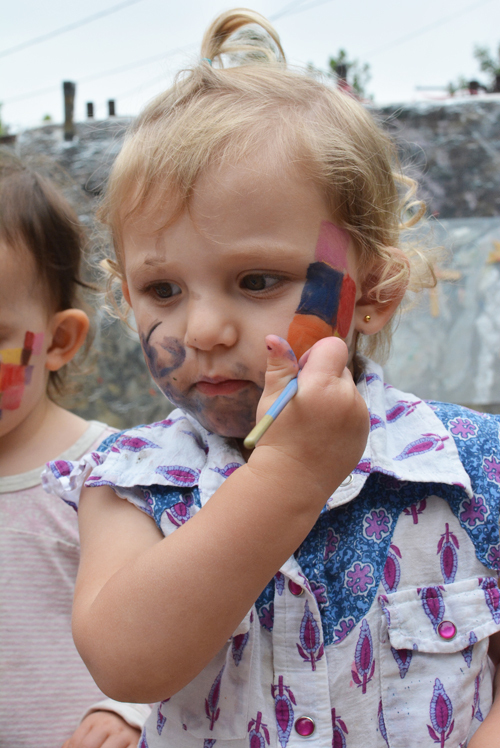 They loved the story and were quick to decide they wanted to decorate themselves just like Elmer. I had bought this face painting set in preparation. 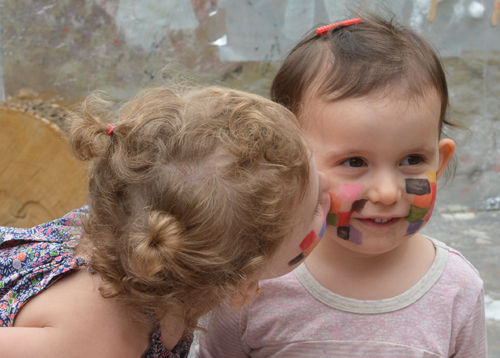 The moms were in charge of face painting for all of ten minutes I’d say, at least with my girls. 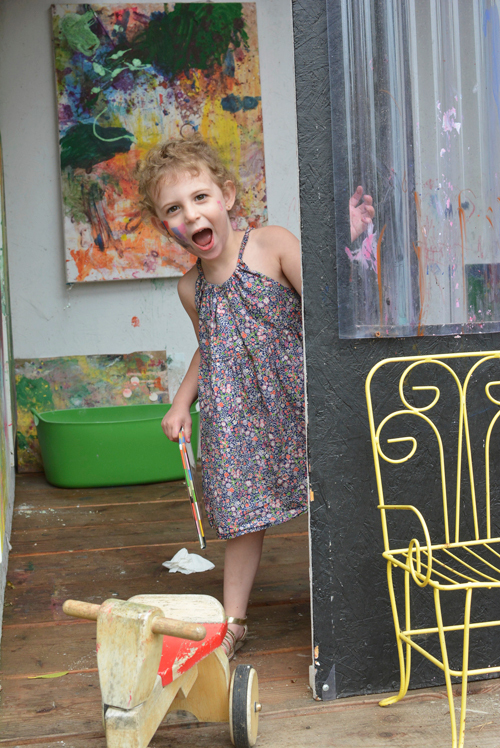 Gigi and D were quick to take over the painting, leading to a slightly different outcome than I would have selected. 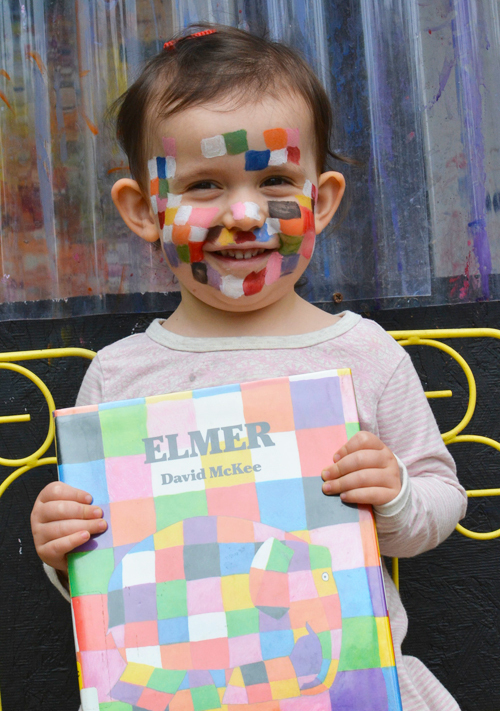 Thankfully we had one little sweetie who was patient enough to have her whole face painted Elmer style. 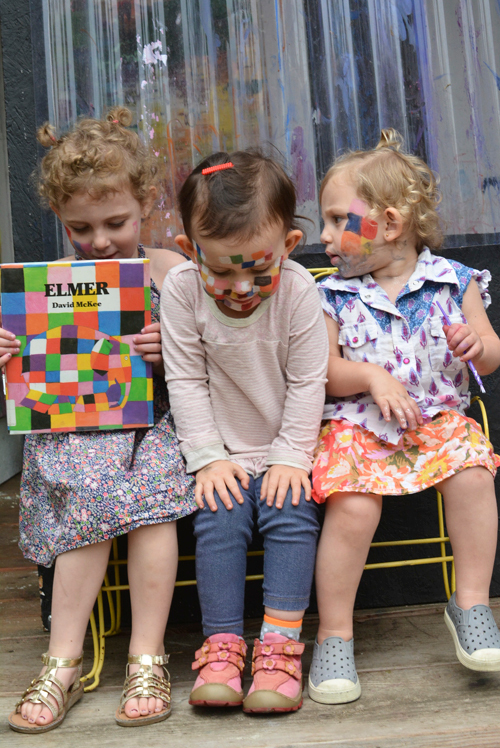 As we painted, Elmer kisses began to spread all over. The cuteness was pretty much off the charts. 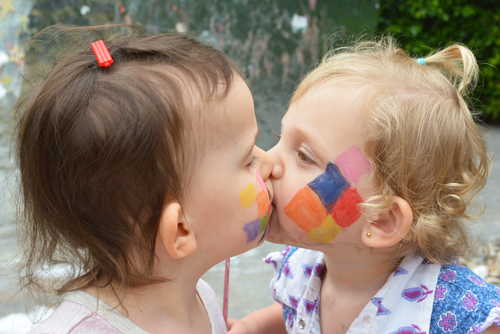 After everyone felt satisfied with their painted faces and got in plenty of kisses, we partied. It was so much fun! 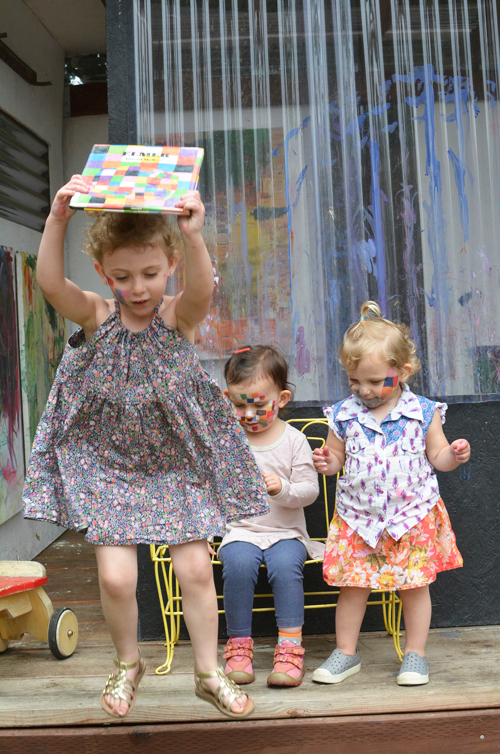 The girls took turns holding their beloved Elmer book while riding bikes, jumping off our play house and riding Rody, a household fav. This was an awesome extension to the book. 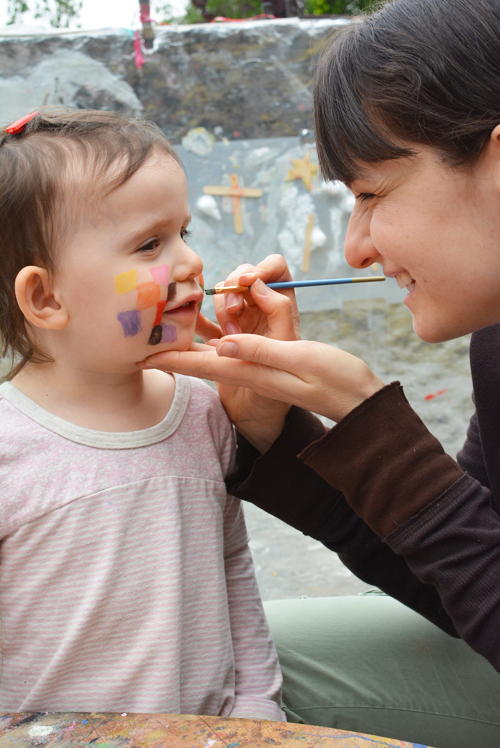 Yay for face painting and yay for Elmer! 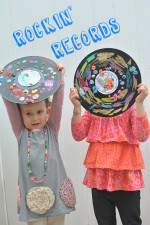 To read more fun ideas you can do after reading Elmer click on the links below. 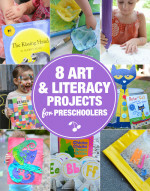 To check out our whole Preschool Bookclub Series click here. Thanks so much for joining us throughout this series. It’s been a blast! Patchwork Canvas Totebag Inspired by Elmer by Mama.Papa.Bubba. 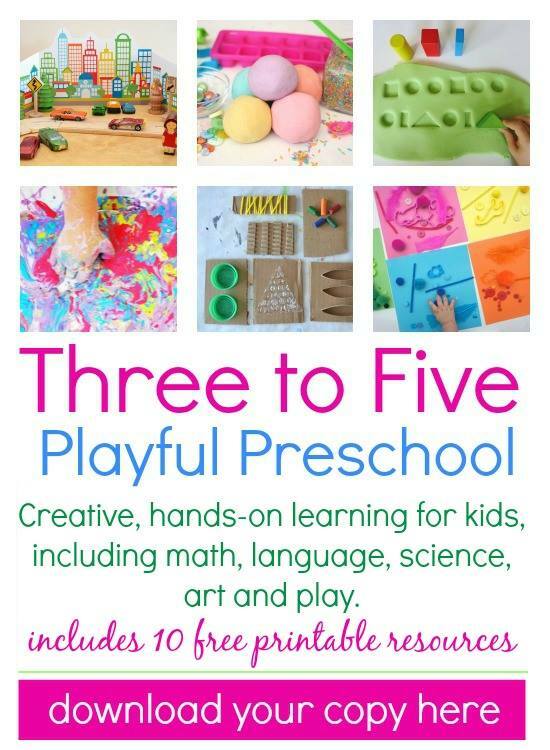 For more creative Preschool ideas check out this ebook I contributed to with 25 other awesome mom bloggers. Chelsey, this was sooo much fun! It’s really so perfect for a play date. I’d love to do a whole parade with signs and everything. How cute would that be?? Thank you my sweet friend. This was really really fun! I had never used face paints before. They’re awesome and surprisingly easy to come off. 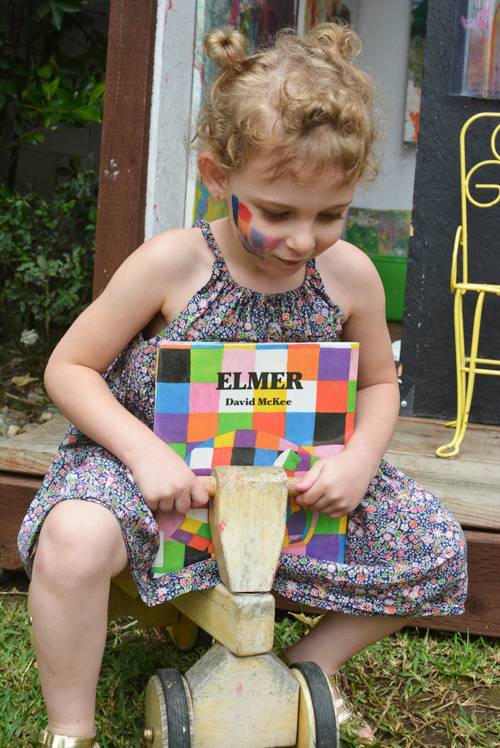 Yay for Elmer play dates! You have ended with a bang Meri Cherry! Love love love! Off to share and pin! Thank you so much Meredith! This one was my fav!! Thanks so much for including me in this great series!!! Thanks Jeanine!!! It was off the charts. Nice to see your name pop up! Thanks for reading along! Goodness, what a great idea! So fun.